Usually when I pass along a recipe to you, it's something like Oreo Chocolate Sundae Pie, Triple Chocolate Cake, Indian Tacos, or Southwestern Ham & Turkey Sandwiches. Oh so yummy, but not exactly healthy. 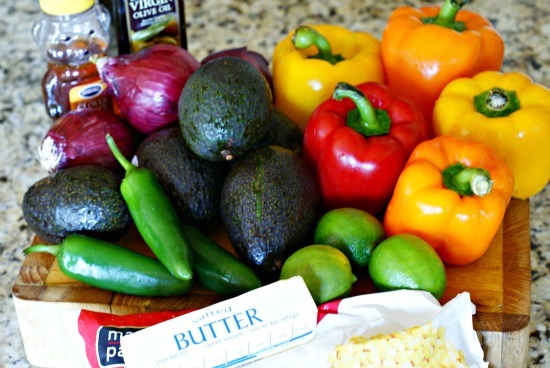 Today I have a yummy AND healthy recipe for you! 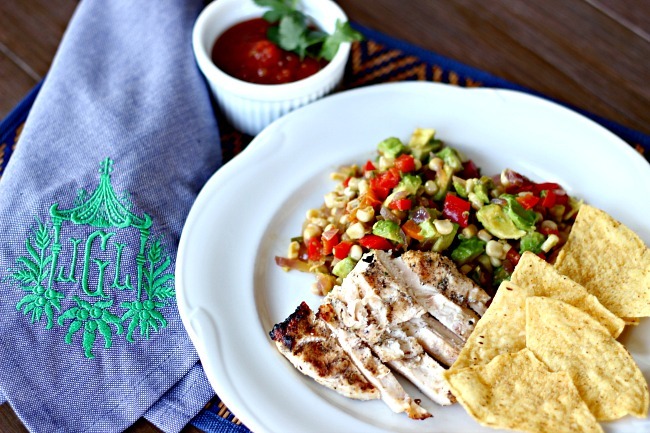 With summer right around the corner, this Grilled Chicken with Avocado Veggie Salsa dish gets added to our menu often. This recipe came from a sweet lady in my church, one of those who instantly makes you feel comfortable around her and is genuine through and through. She is the ultimate decorator and hostess, has impeccable style, has raised beautiful kind children, and her love for the Lord shines through everything she does. Last year she and her husband were kind enough to host our entire church ministerial staff at their home and she made this incredible lunch for everyone. 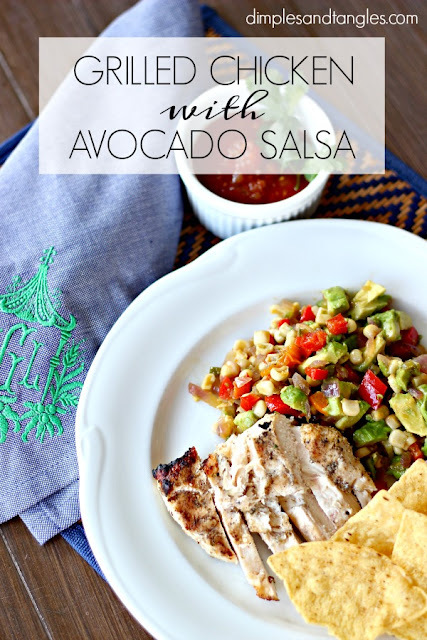 I begged her for the recipe and it's been one of our favorites ever since! Even my kids love to scoop up the salsa on a chip. When ready, grill chicken and after it's turned for the last time drizzle some honey over chicken. 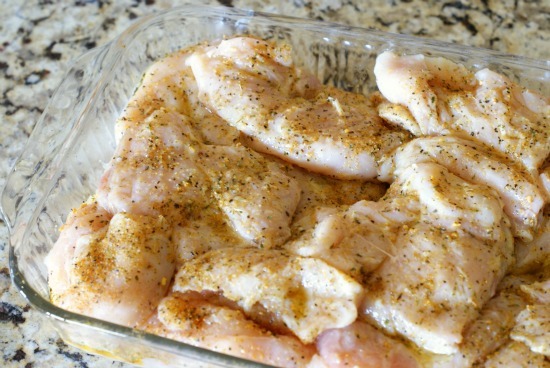 Keep chicken on a plate covered with foil until ready to serve...it will stay nice and juicy that way! 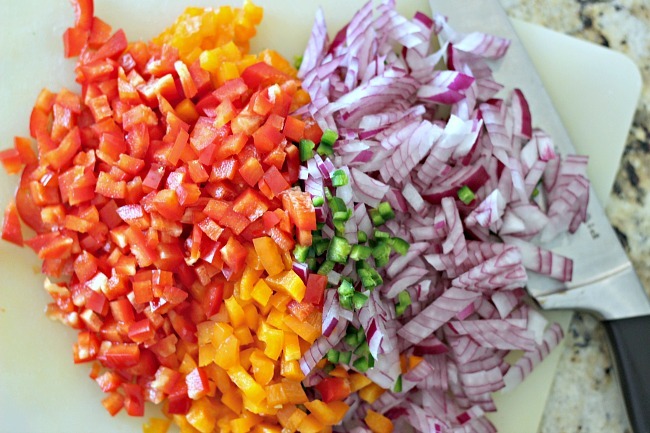 Meanwhile while chicken is cooking, get to chopping! 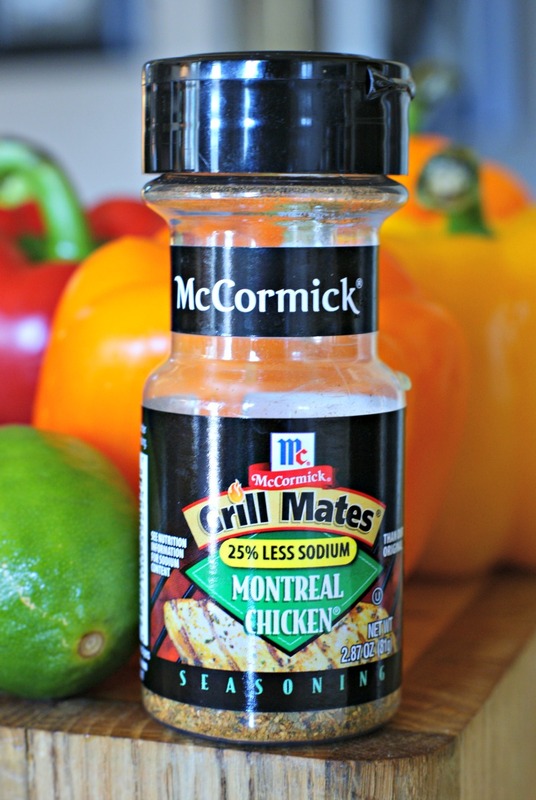 The ingredient measurements don't have to be exact, add what you have or like. I usually almost double the veggies when I make this so we'll have some leftover. I actually prefer it cold right out of the fridge! In a large skillet, wok pan, or dutch oven, heat a few tablespoons of olive oil and the butter. I like to start the peppers and jalapeños first, and after they've cooked a little add in the onion, then corn. Add salt, spices, and sugar to taste. 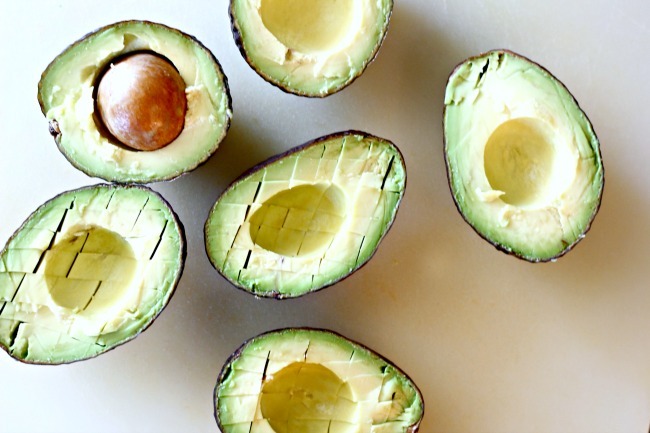 Go ahead a dice avocados and drizzle with the juice from 1-2 limes, but don't add avocado until the other veggies are finished cooking and the heat is off. 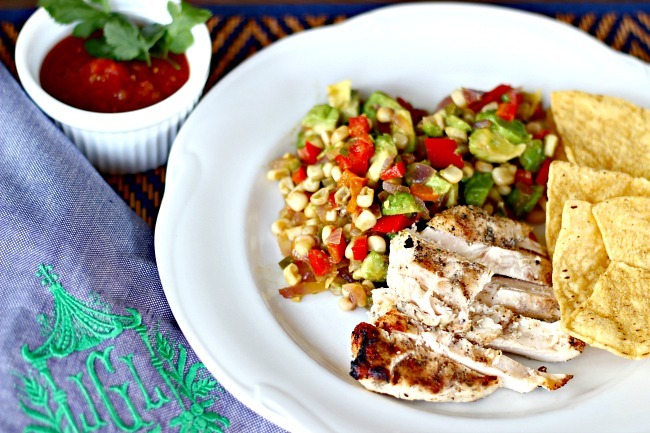 When everything is finished, scoop out a bed of veggie salsa and top with chicken. 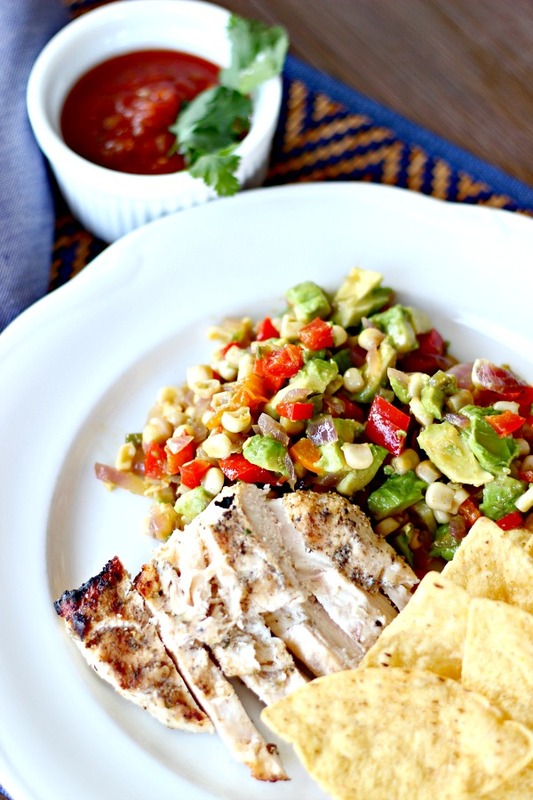 I usually serve this with chips and salsa and we're good! I think it tastes even better after all of the flavors have mixed together, so it works to even make it an hour or two ahead of time and just let it sit until you're ready to serve (although you probably wouldn't want the chicken to sit out that long). It doesn't have to be piping hot to be delicious...works out great if you're having guests! Note: I've made this using fresh, canned, and frozen corn. Fresh is the best, but frozen is almost as good, and canned is okay if you're desperate. I would use almost a 16 oz. 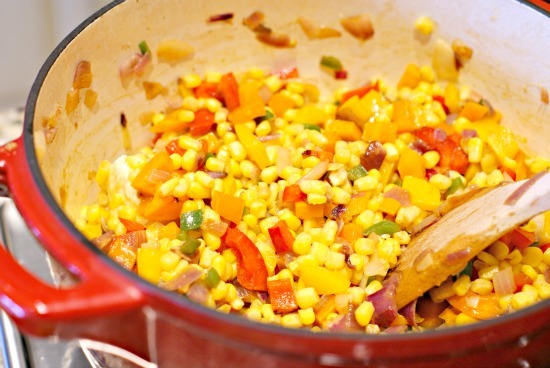 bag of frozen corn for this recipe, or 2 cans drained. Let me know if you try it, and what you think. It tastes like summer! That looks delish! 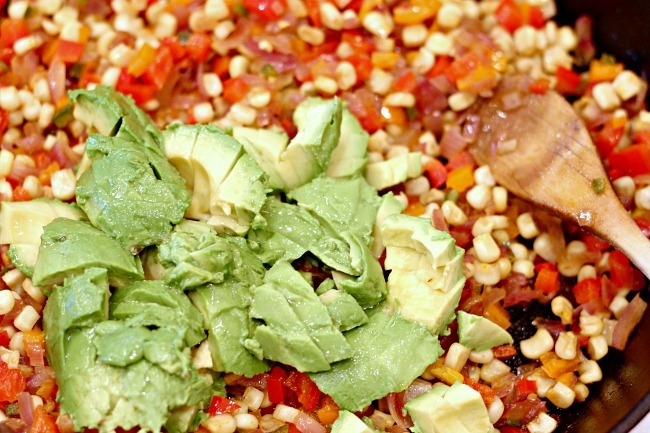 Our family loves any kind of salsa or pico with fresh ingredients, so healthy too! Sounds very good, and with a bit of tweaking, it would fit into our low-carb way of eating -- yum! That looks so yummy and guess what, I'm a huge McCormick Montreal Chicken fan. So this has to go on my "to try" list! This is right up my alley! Just pinned. Thanks for sharing! Mmmm that sounds delish Jennifer! Thanks for sharing! !